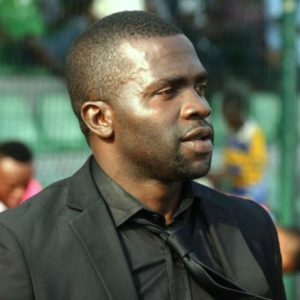 The head coach of Mountain of Fire and Miracle Ministries (MFM FC), Fidelis Ilechukwu is looking forward to a tight south west derby clash against Remo Stars in one of Wednesday’s Nigeria Professional Football League matchday 7 encounters billed for Osogbo Township Stadium, Osun State. The Olukoya Boys are currently leading the Group A standings with nine points from five NPFL games, thanks to the team’s 1-0 victory over Wikki Tourists in a match day six encounter played at the Agege Stadium in Lagos on Sunday, while the Sky Blue Stars, who lost 2-1 away to Sunshine Stars in Akure are four points behind. In a chat with Sportinglife.ng, Ilechukwu, who rues his players’ inability to convert the chances created against the Tourists, is optimistic that the players will be adequately motivated to give their best against Remo Stars. “There is no coach that will go into a match without a positive mind set, but the truth is, it is not all about talking. I don’t want to be a coach that talks about positive result. In my own philosophy, I know it is going to be a tight game. I will not tell you I am going to beat Remo Stars or they will not beat us. With what happened against Wikki Tourist where we have a poor reaction to the game, hopefully things will change on Wednesday. We will do everything to motivate the team for things to change. If things change, there is going to be hope. “Our game against Wikki was a tough one. After three games, it was as if we are tired because of the level of the players. We create chances, but finishing is always a problem. This was just what happened in our last away game against Rivers United, we were close to pick a point there. Against Wikki too, we struggled to win, but we thank God for the three points and that is the most important thing,” he told Sportinglife.ng.